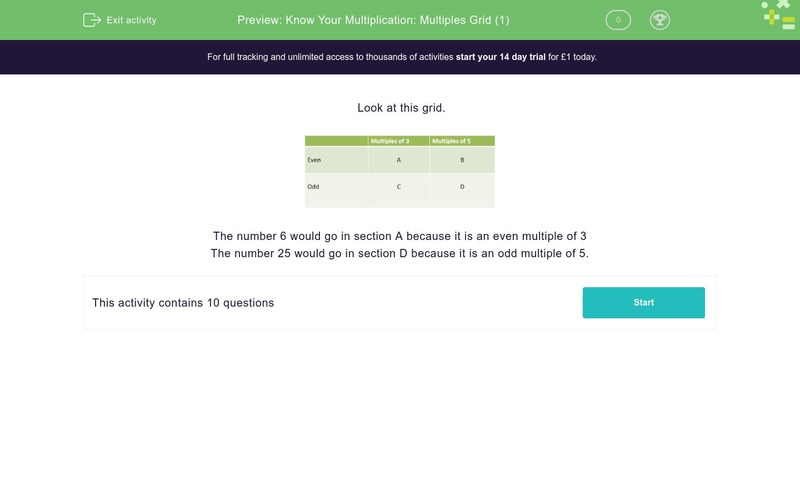 In this worksheet, students decide where to place numbers in a grid of odd and even multiples. The number 25 would go in section D because it is an odd multiple of 5. In which section should the following number be placed on this grid.